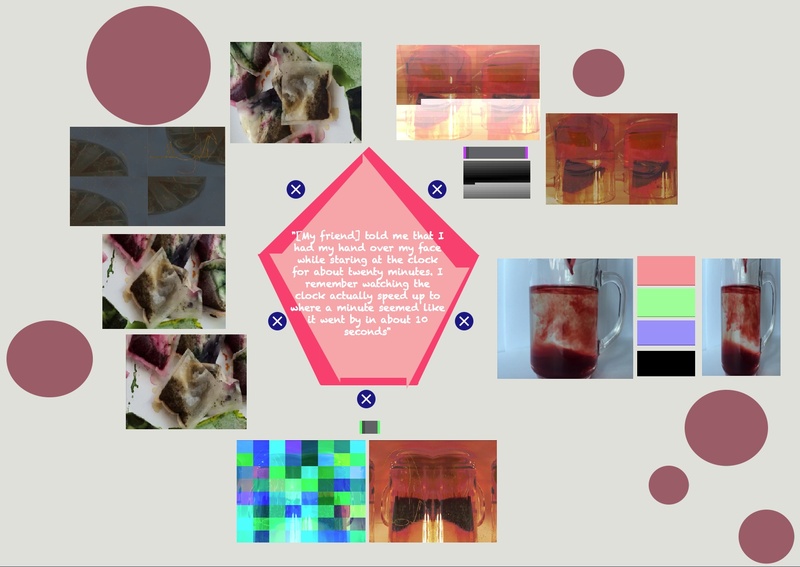 In the fall of 2014, students in Art 106A created a set of interactive art projects using the Max graphical programming interface. 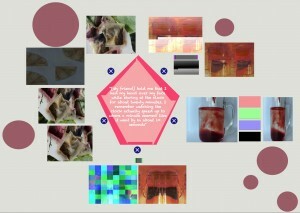 Below are a selection of projects from the class. James Barnes’s Our Thoughts Shaped By Their Walls is a two-channel interactive video in which the viewer navigates through virtual spaces that connect in a way that goes beyond ordinary architectural logic. 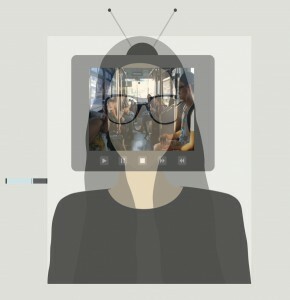 The simple arrow-key interface allows the viewer to focus on the claustrophic immersive experience. Tina Chau’s Scheduled Monotony is an interactive self-portrait that elegantly presents the self as a sometimes-transparent interface to a daily round of tedious rituals. Geovanne Fregoso’s Upon Reflection is an interactive text artwork that presents an encounter with the artist’s mind in the form of a rather one-sided conversation. Enticing the viewer’s participation by throwing out one conceptual surprise after another, it is by turns thoughtful, funny, and hostile. 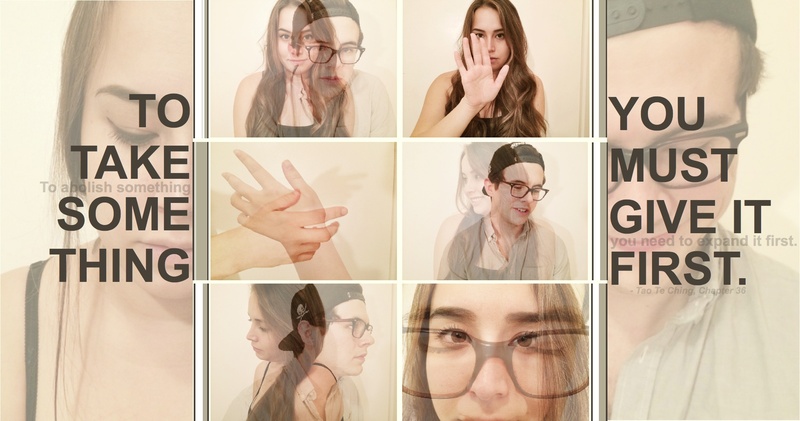 Katherine Kusuda’s To Take Something is an interactive double self-portrait that explores the intimacy of a close relationship through an evolving set of images. 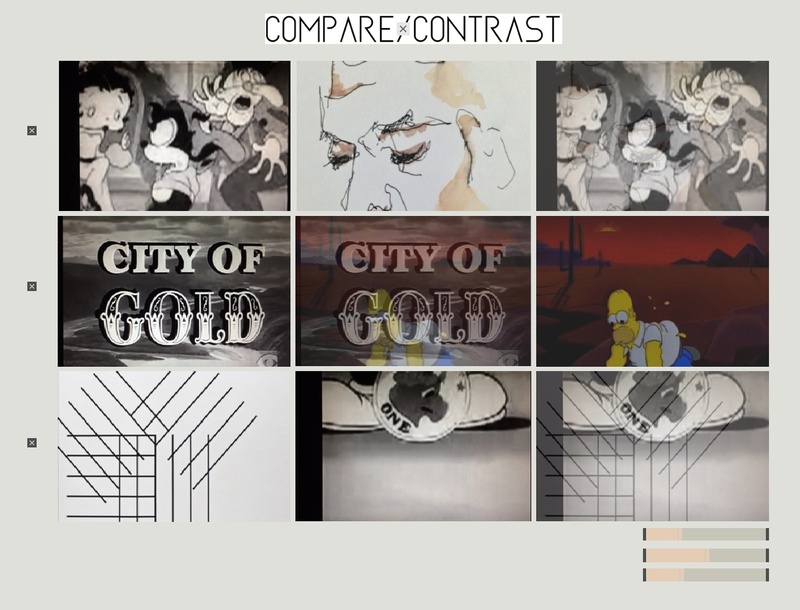 Kathleen Medina’s Compare Contrast is an interactive exploration of visual and cultural resonances between the 1920s and the early 2000s. Material included ranges from Medina’s own drawings to cartoons of the 1920s. 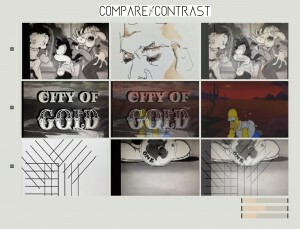 The piece avoids nostalgia while using interactivity to guide the user to find connections between new and old media. A freeze-frame option allows users to pause and consider what they have found. Donna Semsem’s Collage of Self is a meta-portrait of the viewer that succeeds through both design and programming strategies in turning self-imaging back into play. 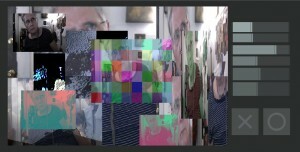 It uses a webcam to live-capture the viewer into a collage that the viewer is then able to alter in real time. Kaitlyn Siu’s Chemical is an interactive exploration of the science of magic mushrooms and the cultural fascination they exert.